Are you 13-25 and want a career in the arts? Here is your chance! 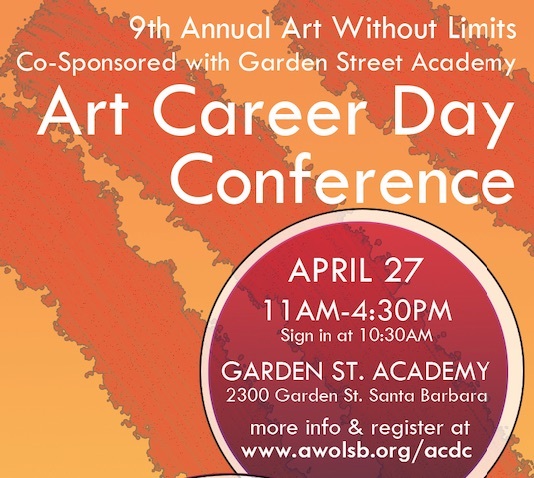 Art Without Limits is presenting its 9th Annual Art Career Day Conference (ACDC 2019) in collaboration with Garden Street Academy! The mission of the conference is to create a thriving and successful generation of artists through education and mentorship. Aspiring artists from all over are welcome. The day consists of presentations, performances, and several Roundtable Discussions offered in a variety of art forms led by professionals, who are eager to help the next generation to succeed. In addition to the Roundtable Discussions, there is a complimentary lunch for attendees. Aspiring artists of all ages are welcome. ACDC is free for 13 to 25 year old artists; however, a $25 donation is requested for attendees over the age of 25. Sign in will begin at 10:30am, with a welcome from morning emcee, Clare Carey, at 11am. Clare graciously returns after previously leading as the leader for our Acting & Directing Roundtable Discussion. Following lunch, afternoon emcee and Acting & Directing Roundtable Leader, J.D. Lewis, will continue the conference festivities. 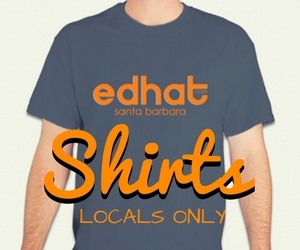 No stranger to the Santa Barbara art community, Mayor of the City of Santa Barbara, Cathy Murillo, will be our 2019 Keynote Speaker with additional speakers including our Animation Roundtable Discussion Leader, Wyatt Lavasseur, and AWoL Mentor Rod Rolle who is mentoring AWoL Emerging Artist Erica Urech in photography discussing the what goes on in a Mentorship. Each speaker will give a glimpse into their unique paths to becoming professional artists, and particularly a bit of insight on their experiences with success. Founder Julie McLeod was in the original cast of West Side Story and Nolan Montgomery, previous 2017 Teen Star winner, along with Nevaeh Harrington will perform the balcony scene and sing as they are now performing West Side Story with Dos Pueblos High which is directed by Clark Sayre. Attendees vary from those with no formal training to those well on their way to establishing themselves as professional artists. Many participants return the following year and some have said, " I really enjoyed hearing how people found their way to success first hand." Attendees will have the opportunity to meet, dialogue, ask questions and, most importantly, be listened to and make friends with up to 40 professional artists of all genres in three of 15 Roundtable Discussions. These Roundtables will be held in acting & directing, animation, architecture, costume & makeup, dance, film & media arts, photography, galleries & museums, graphic & motion design, journalism, music, painting, poetry & prose, promoting your art, and ceramics & sculpture. Art Without Limits collaborates with the Santa Barbara County Office of Arts & Culture, Santa Barbara County Education Department, Santa Barbara Bowl Foundation, and Santa Barbara Teen Star to make ACDC happen each year.